This is more than just a cozy home at the coast; it is a place full of memories that will last the family a lifetime. This is our family home, with all of us having memories of coming to Morro Bay to visit this house for over fifty years. The original owner passed the property down to their children and is now owned by children and grandchildren of the ones who built this home. We love the memories that reside in this house, and would love to have you as a guest of the family at our home away from home! Our home has a nice view of Morro Rock from the kitchen, living room, and balcony that runs along the front of the house. Find a comfortable place to enjoy your morning coffee and the fresh coastal air. Beach access is less than a mile away! Our home has newer furniture, decorations, and amenities to create a comfortable and relaxing atmosphere for our guests. Kick back and enjoy your vacation at the coast! House sleeps from 6 to 10 people. Driveway parking available for three cars. Our home is a non-smoking no pet rental. All of the owners of this property reside in the Central Valley of California, where our family has been for many years. This is more than just a cozy home at the coast, it is a place full of memories that will last the family a lifetime. 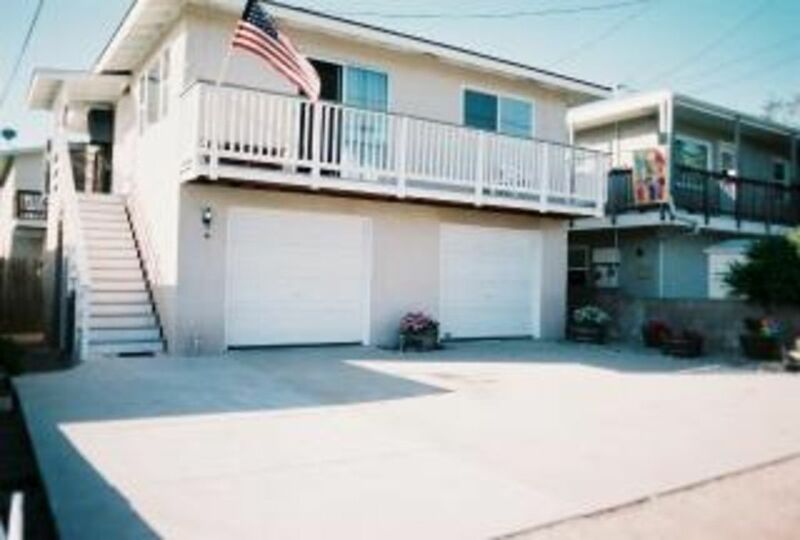 This is our family home, with all of us having memories of coming to Morro Bay to visit this home for over fifty years. The original owners passed the property down to their children and is now owned by children and grandchildren of the ones who built this home. We love the memories that reside in this house, and would love to have you as a guest of the family at our home away from home! Do you want to enjoy all the comforts of home on vacation? Then this is the home for you. We pride ourselves on maintaining the cleanliness and comforting atmosphere of the home. Spend your mornings looking out at Morro Rock from the recliner, out on the balcony soaking up the coastal air, or spending time exploring Morro Bay and the many attractions that surround it. We aim to have a house that is welcoming and accommodating, no matter what your plans are for vacation! toilet, shower, This bathroom is avaiable with whole house rental option. With the upstairs only rental guests have access to the upstairs bathroom, which has a tub/shower combo. With the whole house rental guests also have access to the downstairs bathroom which has a shower. Each bathroom is supplied with two rolls of toilet paper and liquid hand soap. There are partial Ocean views from our home. Extra blankets and pillows are located in the bedroom closets. Washer and dryer are downstairs (available with upstairs AND whole house rental). A small supply of laundry soap is provided by owners. DSL WiFi,and a LAN connection available at the computer desk in living room. Upstairs: A basket of 8 bath towels, 8 hand towels, and 8 wash cloths are provided. Downstairs: A basket of 6 bath towels, 6 hand towels, and 6 wash cloths are provided (with whole house rental). The living room has a large recliner, couch, love seat, and glider rocker with ottoman. Microwave is located in the cabinet above the oven. There is a second microwave available in the laundry room downstairs. Two drip coffee makers are available in the home, one is located in the kitchen and the other is in the laundry room downstairs. Dishes, drinking glasses, and flatware is available for 10+ people. Pots, pans, bake ware, and cooking utensils are also available. Fully equipped kitchen includes: blender, electric griddle, rice cooker/steamer, crock pot, ice tea maker (filters supplied), filtered tap water, dish soap, hand towel, paper towels, and trash bags. We have an additional card table with an additional four chairs. It is located in the back bedroom closet upstairs. All bedrooms and living room have a television with cable. Wonderful stay. Just minutes away from the beaches and downtown Morrow Bay. Very nice place, fully furnished and quite comfortable. Very nice stay! Everyone loved it! The House was clean and everyone was comfortable. Have everything you need for your vacation. Very easy to get ahold of owner if you need anything. Owners were very thoughtful and responded immediately with any questions Well stocked with supplies and dishware. I appreciated having a place to keep our bicycles and beach equipment. This was a short jump from main and several beaches. Easy freeway access. Had everything we needed to enjoy a weekend and the owners are super helpful and easy to reach. that is sure to add to your relaxing vacation! kayaking, swimming, and walks along the beach.